This book covers not only information protection in cloud computing, architecture and fundamentals, but also the plan design and in-depth implementation details needed to migrate existing applications to the cloud. Readers will have a greater comprehension of cloud engineering and the actions required to rapidly reap its benefits while at the same time lowering IT implementation risk. The book’s content is ideal for users wanting to migrate to the cloud, IT professionals seeking an overview on cloud fundamentals, and computer science students who will build cloud solutions for testing purposes. 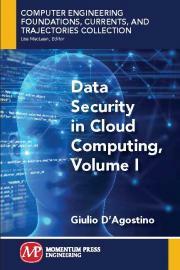 Giulio D’Agostino is a system administrator, entrepreneur and cyber security consultant with more than twenty years’ experience in the cloud computing, software as a service, and publishing fields. Previously employed by Google, Apple, Hewlett Packard and Salesforce.com, Giulio has lectured at the Technical University of Denmark – DTU, Griffith College Dublin, Web Summit 2016/2017, worked as Irish Tech News contributor and he is currently working as system administrator for SaaS and cloud-based remote connectivity services company LogMeIn Inc.